Yesterday something extraordinary happened. I had a real Sunday – a proper day off, a laid-back day with our community, where there was time to chat and pray and remember what’s important. I’m really not great at protecting Sundays (or, in fact, any other day) from work and rehearsals and emails, even though I believe there’s something so important about regular rhythms of rest and play. But yesterday was something special, and somehow in the midst of it we also managed to connect with another, often invisible, community. And for that I’m grateful. This is the four of us who got the couch. 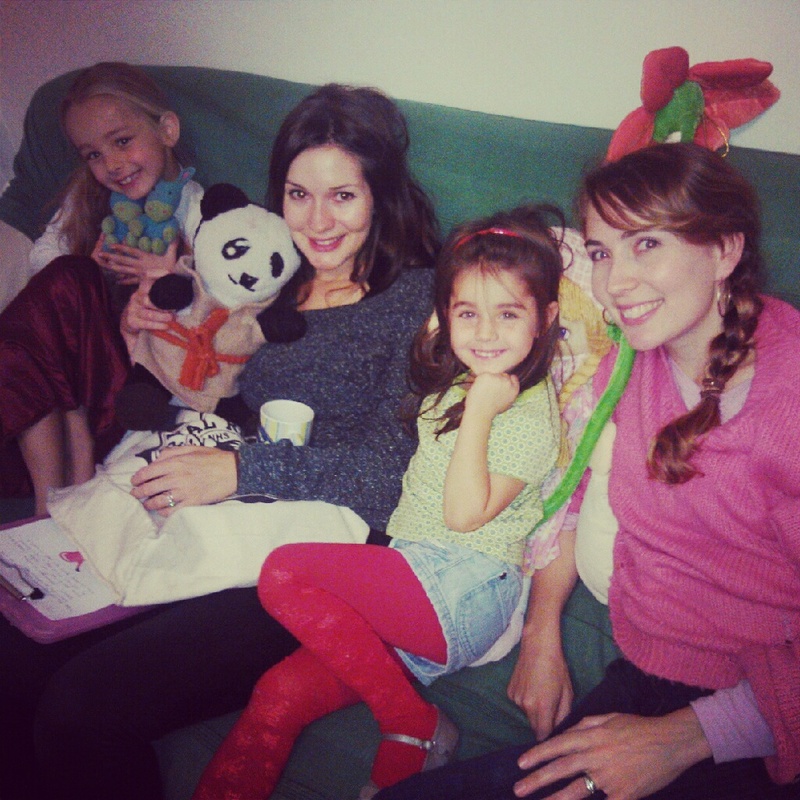 Our little fledgling community has been meeting since the start of the year – sometimes 3 of us, sometimes closer to 15. We live kind of close to each other in South London, and we’re bound together by our faith (and belonging to The Well Community Church) and by our desire to be a force for good in our local neighbourhoods. Usually in tiny ways. Yesterday we sat and talked about what we’d been up to in the last little while. Our Zimbabwean friends Savie and David held a party recently for a couple of lads in their block who’d passed some big exams. The boys aren’t used to celebrating things like that, but they got about 15 lads round (in the last year or two Savie and David and their two sons have unexpectedly become the gathering point for most of the young lads in their housing block – in and around playing football together), and had a party. The boys are aged from about 8-15. Savie also got them to do that version of consequences, where you write down something you like about each person in the room, anonymously, and they all got to take away a list of ten great things about themselves. It was a completely new experience for them, and they went away beaming. We were hosted yesterday by Martyn & Naomi and their two beautiful daughters, who both had a series of very important roles to play during the morning. These included leading a game of name-catch, distributing clipboards, rewarding good ideas with stickers, offering us all cakes and writing notes on the blackboard. With ages ranging from 5 to around 55, it was just beautiful to see everyone find a place to belong. We had communion: iced bun and fizzy pop, and thanked Jesus for enabling a community where everyone was welcome, and where we could find a home. But we also talked about how you build community that isn’t just cosy and insular and homogenous. And we’re still pondering. But something else we were part of gave me hope. The husband joined us a little late, after an early morning visit to Feltham Young Offenders Institute, where he and our mate Patrick were speaking at the chapel. They’ve just started something they’re calling The Invisible Tour. Andy has recently released an album, and Patrick a book, and they’re doing the usual speaking/singing circuits. But they were inspired a few months ago to think about the people who will never go to one of those events. Another friend of Andy’s was on a bus in Peckham, listening to his album, looking at the tired faces around her and wishing there was a way they could hear the songs. She told Andy her idea and he began to dream. So much of what Andy & Patrick both write about is hope, the hope of broken things being made whole again, and why should that only be heard by people who go to book launches and folk gigs? Patrick, who runs youth charity XLP, told Andy the story of a meeting he’d been at where 3 different statutory bodies told him that they had great programmes but couldn’t connect with the young people who really needed their help. They described them as “invisible”. They said that only XLP and the church could connect with the invisible people – they are in the gaps between where services reach. So Andy & Patrick have both set out now to do a tour to invisible people and places: Mental health centres. Young Offenders Institutions. Rehabs, prisons, homeless shelters, hospitals. Feltham is the largest young offenders institute in Western Europe, housing over 600 15-21 year olds. Someone in our little community knew a boy there – and it was a sad story of injustice. The chapel, where Andy & Patrick sang and spoke, is one of the few places where the boys come together – most of the time they’re in their own cells because it’s too risky to let them all mix (more than 30 different gangs are represented…). It couldn’t have been a bigger contrast with our Sunday morning – an institution designed to prevent community – and yet in the midst of it was this holy space to come together and hear stories of hope. It’s a drop in the ocean, I know. But a good one. I know that I’m lucky to have this beautiful, growing expression of community to be part of, especially in a big city like London. But I don’t want to settle for something that’s just nice for me. We have to keep asking how it becomes sometimes beautiful and possible for people who are often invisible to us. Especially the ones on our doorsteps. Social justice has become very cool in the last decade, you might have noticed. One of the consequences is that plenty people have cottoned on to the concept, and felt a little lost when trying to put it into practice. It’s fair to say I was outraged, dumbfounded. Spitting teeth is the phrase that comes to mind. The welfare state is wonderful. But they’ve hardly got things nailed. And it’s not a comprehensive solution any way. 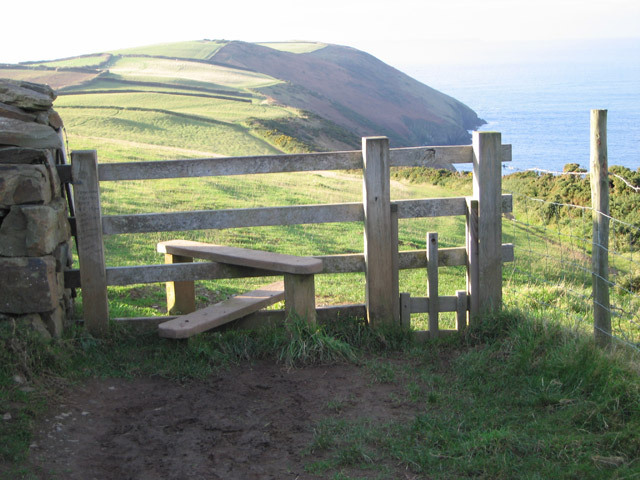 But anyway, my subject for today is actually not all those people (Christian or otherwise) asking ‘how do we get going?” (If you’re asking that question then you should watch this fab video from my mate Jon who has a very practical suggestion). Instead I want to tell you about a couple of churches I’ve been inspired by who started out (ahead of the game, you might say) with a passion for serving the local community right at their core, so it’s never been something they’ve had to work out how to add on. And strangely both these churches have ‘corner’ in the title. A couple of years ago I went to Cornerstone Church in Swansea and met Julian and Sarah Richards. They had pioneered a project called ‘The Gap’, having realised that loads of local kids played truant and never managed to transition out of their broken education into work. It was a brilliant scheme, but my favourite part of the film we made about them was when Sarah talked about when they started the church. It was 1991 and there were seven young people who felt called to start a church in Swansea. They had no building, no services, no money. But they didn’t wait for any of those things; they just started looking for ways to serve the local community. They volunteered at local schools, they set competitions for the local kids for Mothers’ Day and got local businesses to give them prizes. They looked for ways to love the local people and build relationships with them, to work for the good of the area. And it was rough – they had no income, they couldn’t always afford to eat. But right at the core of who they were and still are as a church community is an orientation towards the local people, and an urgency about expressing God’s love towards them. Then a couple of weeks ago I heard a similar story. 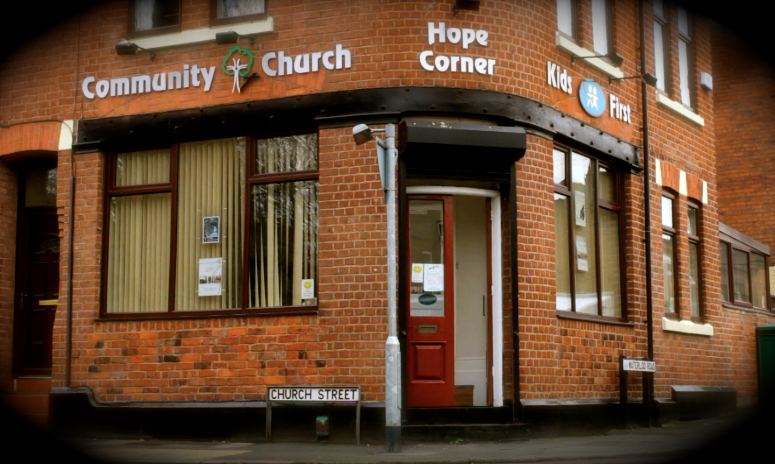 I was at a church in Runcorn called Hope Corner (love that name) – a tiny converted shop in the run-down end of the town – which runs a programme for kids excluded from mainstream education. I met some of the kids who attend who love it – because they are listened to and supported and encouraged. 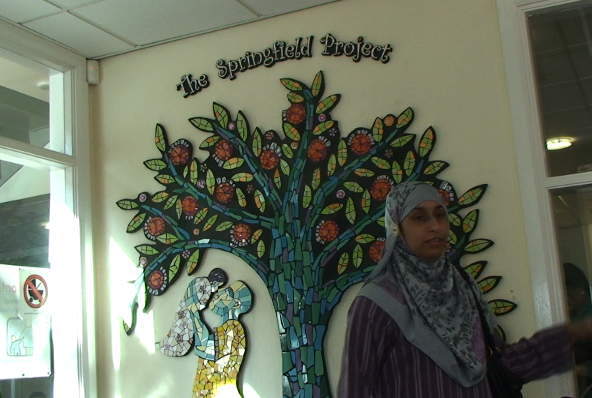 At this new “school” they find stability and space that’s often hard to find elsewhere. Darrell, one of the leaders of the project (he became a Christian in prison and came out determined to help local kids chose a different life), says that their first priority is simply to love the kids. I interviewed the main pastor of the church and he told me that the church and the ‘projects’ are indivisible. They only exist because of one another. They started out wanting to help meet some of the needs in the area, to offer concrete love and support where it was needed, and they have been thoughtful and consistent in how they’ve done it – so much so that they’ve won over a lot of the local community (there’s an enormous waiting list for their kids club), and plenty of funding for their projects too. “We are what we need to be for Runcorn,” says Mark. And for them that means school and kids work and youth work and a lot of prayer every morning, as much as it means cramming in on a Sunday morning to worship and study the Bible.